My oldest sister is having her second little baby in less than a month so just before my exams, I headed over with some gifts. As it's her second, she's not having a baby shower like her first but I still wanted to get her some little items. I love getting pink and blue outfits so I didn't go overboard with presents for baby because I knew I would want to spoil it when it finally arrived! Instead I went for slightly cheaper items which I good update and upgrade later. 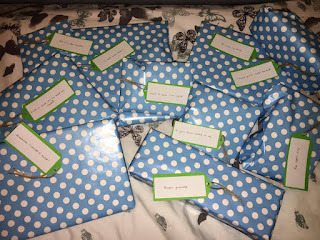 I got most of my presents online so I'll try and link where possible (click on the pictures). I wrapped all the presents up and added little tags with messages on. Very simple but I thought it was pretty cute. This is one of those things I want to upgrade but my niece had silent reflux and constantly spit up. 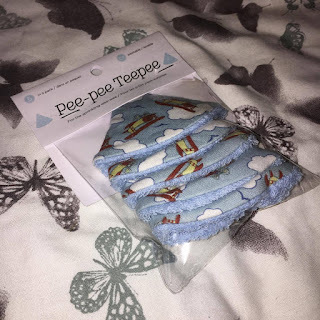 I thought these would be perfect for spit up and wiping up messes! These aren't the softest but they're cheap, and have a cut pattern. 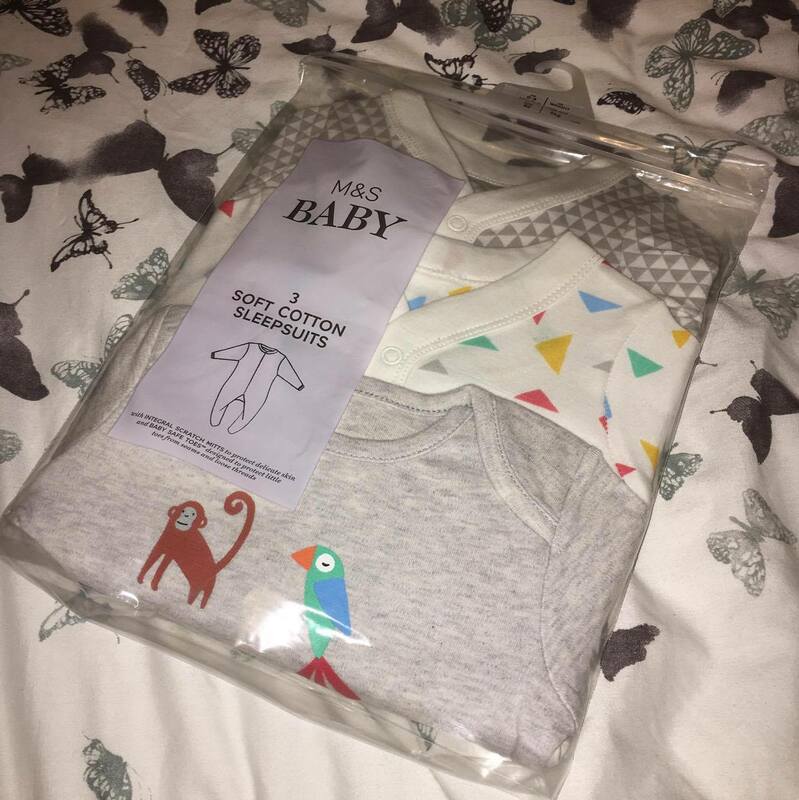 I love these 3 Pack Geometric Animal Print Cotton Sleepsuits. I think they're a really cute and colourful pattern which I'm sure my sister will hate but I thought it would add some colour in the summer months when it's due. This is one of those things I couldn't refuse! 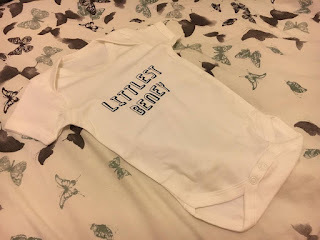 How cute it this personalised onesie!? Super fast delivery, really high quality and super cute. 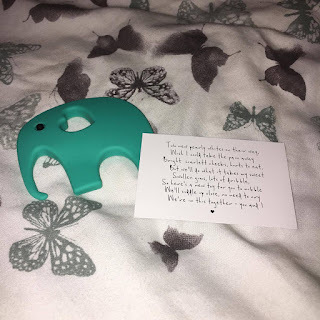 Another Not On The Highstreet gift I found was this cute teether. Given the horror from Sophie the Giraffe I thought this was an adorable alternative. I thought the colour was gender neutral and I love the poem! Definitely a joke present and an inside joke but I saw these and laughed so hard! I would have this on my must-have items but my sister and her husband disagree. I tried to convince her to get one with Bop but she never did so I thought I would treat her instead. 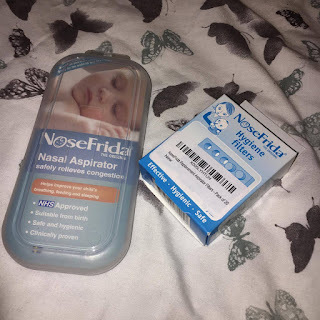 I picked up the original Nose Frida and some refills. Time for some pamper time. 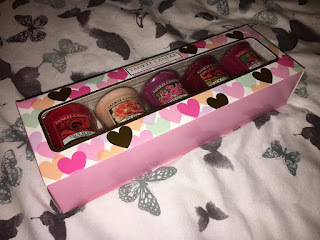 After some complications last pregnancy, I'm hoping it will be a smoother run this time and she'll actually have maternity leave before the hospital so some candles to relax. Two mummy books that in all honesty, I want to read too! So maybe after! 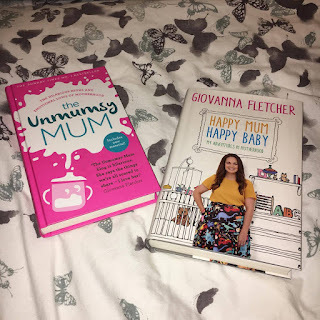 Happy Mum, Happy Baby by Giovanna Fletcher and The Unmumsy Mum Hardcover by The Unmumsy Mum. I saw these from Anna Saccone and while I thought they were super cute, £52 is ridiculous. I found these for a fifth of the cost and it's basically the same. 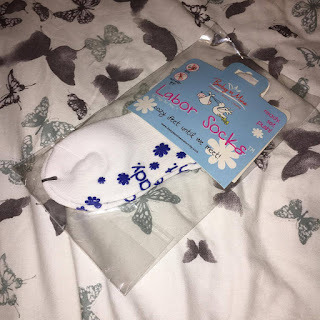 They're warm socks for the hospital when you don't really want to put shoes on but you also don't want to slip so the grips on the soles are great. 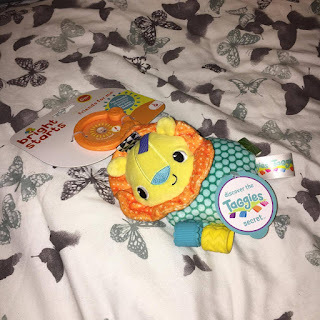 So after some clothes, practical items and mummy pamper items, I rounded things off with a cute gender neutral carrier toy. 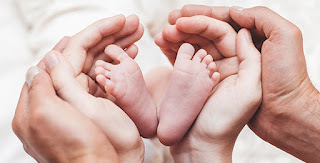 It's got so many features with a rattle, crinkly part and soothers too. The perfect first toy! Hope you got some ideas for little and cheap gifts for this. Some of them are joke presents but that's what little sister's are for right!